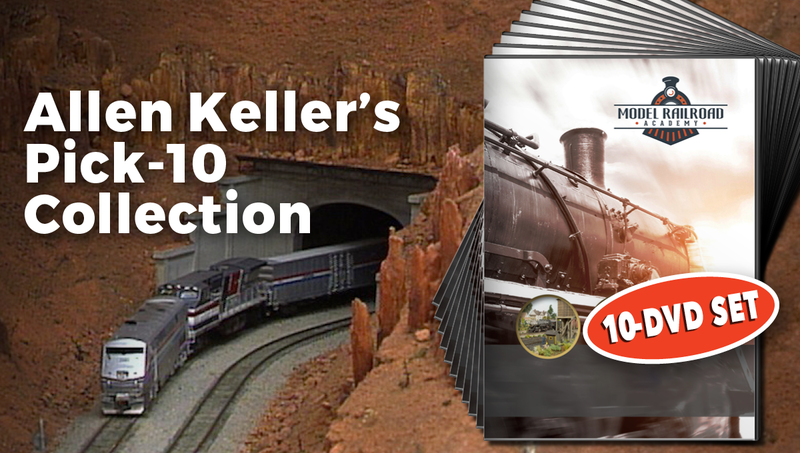 From among over 65 Volumes in Allen Keller’s Great Model Railroads video series, this is an “ultimate” collection of 10 Volumes that Allen personally selected – that every model railroader would love to own and enjoy. 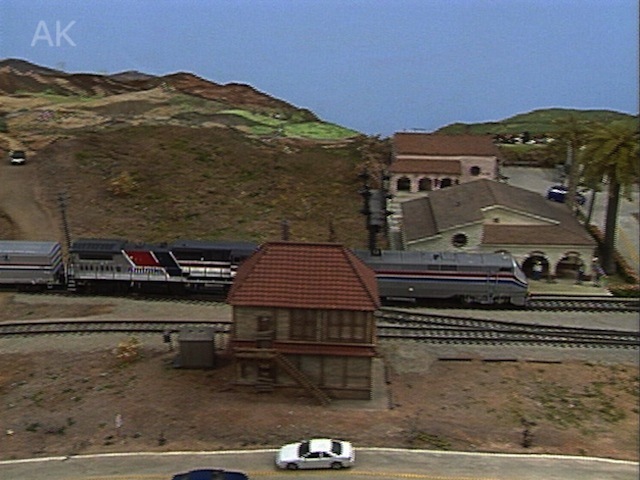 These videos are some of Allen’s favorite HO scale Great Model Railroads. This set includes 10 magnificent layout tours including personal perspectives from industry-leading builders, tips on how to incorporate similar scenic features on your layout, and just plain fun in looking at some amazing results. With nearly 10 hours of enjoyment, here are the 10 Volumes you’ll receive, with a detailed run-down provided below. Vol. 34 follows with Gary Hoover’s original Missouri, Kansas & Quincy. Vol. 38 is Allen’s own Bluff City Southern. Vol. 49 wraps up the set, with the Santa Fe Emporia Subdivision of Stephen and Cinthia Priest.